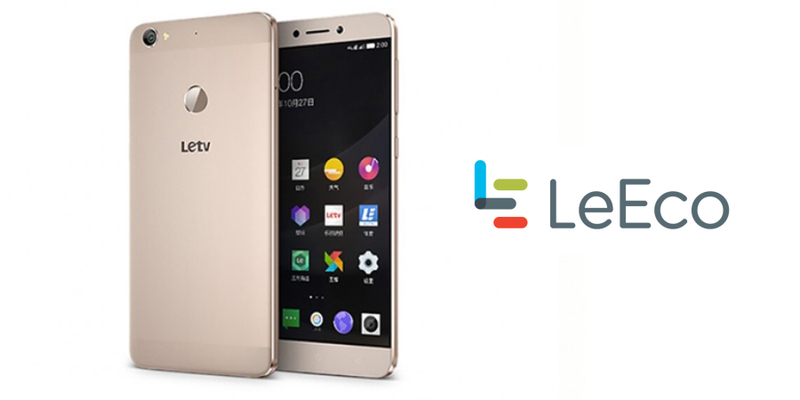 LeEco is one of the latest entrants of the Android mobile family and it is doing very well in the industry. Though most people don’t have much idea about this brand of mobile but it is one of the most feature-loaded Android mobiles in India. One of the upcoming mobiles of LeEco is the LeEco Le 2 Pro and people have a lot of expectation from the phone. The LeEco Le 2 Pro price in India is expected to be Rs 14,990. The phone will run on Android Version 6 / Marshmallow. It will flaunt a 5.5 inch Full HD LCD Capacitive Touchscreen with 401 ppi. The screen resolution will be 1080 x 1920 pixels. It will be powered by a Deca-Core (2.5 GHz, Dual core, Cortex A72 + 2 GHz, Quad core, Cortex A53 + 1.4 GHz, Quad core, Cortex A53). LeEco Le 2 Pro will have a 4 GB RAM and 32 GB internal storage. The primary camera of the phone will be 21 MP with Dual-color LED Flash and an 8MP secondary camera. It will be powered by a 3000 mAh battery. The phone has a 21 MP Primary camera which click images with resolution 5288 x 3968 Pixels. The camera is loaded with several other features like Digital Zoom, Auto Flash, Digital image stabilization, Face detection, Touch to focus. That’s truly one hell of a camera for a 15k phone. The phone has a 3000 mAh battery with quick charging feature. That ensures unlimited usage with less battery issues. Just like other Android phones, the LeEco Le 2 Pro will also sport a finger print sensor. LeEco Le 2 Pro has a 4 GB RAM which will ensure its users a lag free and freeze free multitasking experience while using the phone. It has 4 G connectivity enabled on both the SIMs. 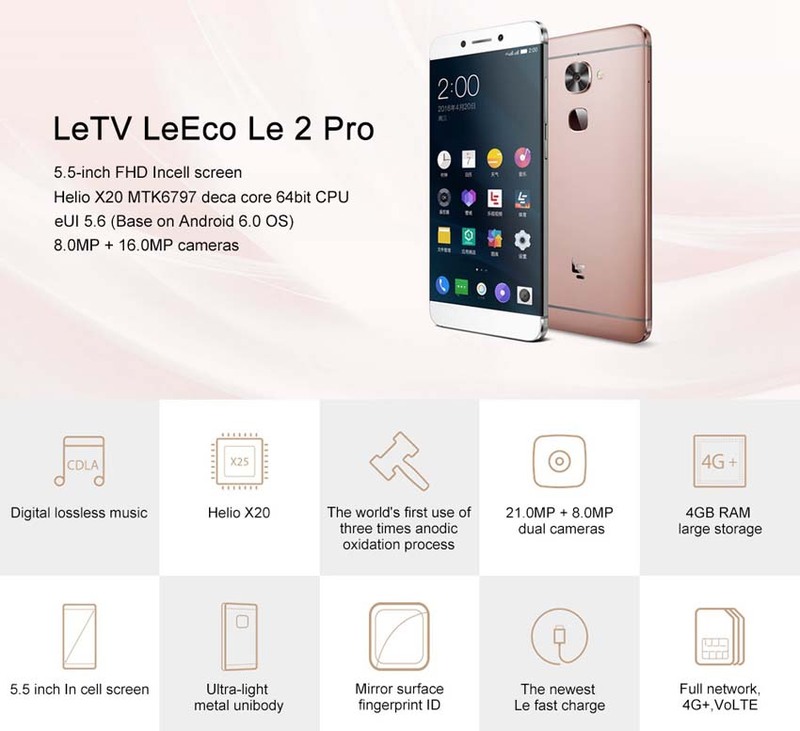 People have a lot of conjecture about the LeEco Le 2 Pro price in India. Some sources say that the LeEco Le 2 Pro price in India is going to be Rs 14,990. Whatever may be the case the price would stay in the 14-16k range. The phone is certainly going to challenge many of its competitors in the same price range like the upcoming Redmi 4 Note X and already launched Gionee S6s. The phone has a 32 GB inbuilt memory which is very low considering the fact that the phone takes impressive photos of high quality and storing a lot many images might be a hindrance for the users. Apart from low inbuilt memory, the phone does not even have the feature to expand the memory. This is a major drawback of the phone. LeEco Le 2 Pro has a non-removable battery which might land the users in dilemma when the phone freezes or hangs (though there is very less chance of that as the phone will sport a 4GB RAM). All things considered the phone is an excellent choice for people looking for amazing camera and smooth multitasking experience at a mere price range of 14-15k.